No, the guy in the bottom left isn't made of the same stuff. I'm going to go see if he floats. All the series 2 ones float. EVEN THE FAT ONES! **EDIT: I guess the one on the bottom left is actually series 1. I've been reading all the threads here, super useful information. O Man there has been some serious Novo for sale action recently!! Lots of new figs poping up ....lovely haul mate. Thanks! Which of these would you guess is the most rare? I know blue dot is super common, but everything else is still pretty sketchy. Blue Micky maybe Novo yellow Phil?? These days I'm unsure of numbers lots of people are selling their Series 2's on to other collectors or had been. There has been loads for sale in the last year. My first auction is up! Hopefully I get get some bids. www.ebay.ca/itm/-/321971669236? Holy s**t!! Bad time to sell, though. The market is dead. Red Megan sinks or floats? ?? Can I buy the blue cat and red dot? Are you putting them all on eBay bro? Maybe, I'm not too sure. I'm going to start with the Blue Dot, see how that goes and take it from there. Selling through ebay is the safest way to sell these, no? It makes no difference really I mean I very rarely buy anything from eBay. You should just list them all on here you will probably sell them all that way and some people might buy more than one etc I know I want a couple and it looks like Russ does. You get no fees then either apart from PayPal with you being a brand new member you won't get gift payments. Word. And not only will you not have to pay fees, you can charge more and sell your childhood to specific Garbage Pail Kids collectors who will actually cherish them as art objects and not faceless, phantom eBay buyers. You will actually see your toys in our forum's collection threads with people talking about how cool they are for years to come, and remembering where and who they got them from, instead of eBay were some dude in nowhereville buys it for cheap, you pay 13.5% in fees,he leaves you a meaningless vague feedback sentence, and your childhood toys disappear out of view, forever. Yeah, all your Dots, Ali's, and Vegas are 'starter Novos'-I bought several recently for around 100 each (LOL), but they dance around the 125-175 usually, only 200 if they are in yellow or blue. Phil is the gem, but still under 300. Cat, Kirks, Jill, Micks 175-250 range. Dot is the worst of the worst, I've seen them sell on eBay for 50 dollars, LOL. Ironically blue Dot is her most common, and red. Really all of them though, not as many greens yet it's a boring color so... rarity doesn't always match the market. Green and red Novos are pretty damn boring, they are your low end ones typically, yellow and blue demand the top end of the range typically. TYPICALLY, I said. Russ is THE cheap toy authority. I wish I had a series 2 fig! If you sell on here, lmk about that Blue Mickey or maybe the Les Vegas, Thanks Paul. Thank you all so much for your feedback. It's been incredibly useful. I will absolutely be letting you know what I end up doing with these. What year, and month if you remember, did you buy these? Did we run you off, is it something Paul said? I remember my parents buying them for me in a convenience store in the 80's. Can't even remember what year, sorry! According to Russ, everything I say is scary or offensive or BOTH!!! Gotta love me, eh right? Right? Stop being so PUSHY, Paul, give this guy some SPACE! If he wants to sell you blue birdy he will sell you blue birdy. I thought you were THEWATCHER not THEPUSHYOBSESSIVENOVOGUY, geez. That was a fun laugh Rusvan. If you ever get a new line of work, I say stand up comedian. 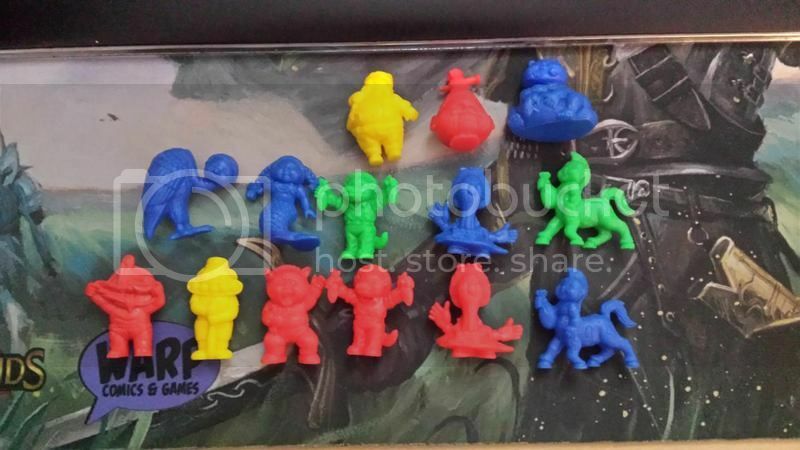 Do you think if more people knew these existed it would be better or worse for your collection?